The head of Qatar Airways on Wednesday cast doubt on proposed European Union air traffic agreements that might limit Gulf carriers from flying to European destinations because of what some see as unfair subsidies. 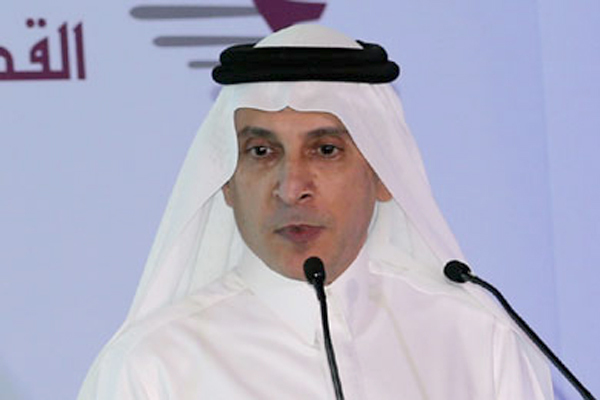 Qatar Airways chief executive officer Akbar Al Baker said the effort, which the European Commission announced on Monday, was unlikely to gain necessary support from EU members. "I already know five countries that have told us that they will not back this," he said in an interview in New York. The EC, the executive of the European Union, is seeking approval from member states to start talks on new agreements that would bolster European airlines. Al Baker's comments come after Emirates airline also voiced concern about the proposal and amid some opposition in Europe. Ralph Beisel, head of German airports association ADV, said having fair competition clauses would have prevented Germany from reaching some recent traffic agreements. Agreement amongst all EU member states to start negotiations on behalf of the bloc could take five years, he added. The plan has drawn support from the head of the European airports association, ACI Europe, who said Europe needed more "Open Skies," or unrestricted traffic agreements, like those it has with the US, but also needs clarity on what constituted "fair competition." Some EU airlines have received state help, but are under strict rules about repaying aid. Major US airlines also back the EU plan and are pressing the US to enter talks with Gulf carriers over alleged state subsidies. "While the Gulf carriers are dumping capacity on the US thanks to their government treasuries, the US airlines are forced to cut routes," the Partnership for Open and Fair Skies said in a statement on Wednesday. United Airlines said on Wednesday it would cancel Washington, D.C.-Dubai service after the US government awarded a contract for travel to JetBlue Airways Corp and its codeshare partner Emirates Airline. "Qatar Airlines has received more than $17 billion in unfair subsidies and other lopsided benefits from its government sponsor - decimating any chance of fair competition and violating Open Skies agreements with the United States," the partnership said.